Not Happy With Your Orem Dentist? Hello Orem dental blog visitors. Whether you stumbled upon this blog by mistake, or clicked here on purpose, welcome! We are Dr. Chris Hammond. Our cosmetic dental practice is called Hammond Aesthetic & General Dentistry. We are located at 3575 North 100 East, Suite 200 in Provo. You can find information about our practice, services, and professional Orem dental team at https://www.cosmeticdentistryutahcounty.com. In our Hammond Aesthetic & General Dentistry dental blog, we post informative articles about dentistry including new Orem cosmetic dental treatments, preventative dental care, and news about our dental practice. Many of our patients visit this blog regularly and we hope you will also find useful dental information here. Do you currently have an Orem dentist? If you are in need of family dentistry or are not happy with your current Orem dentist, we invite you to visit our office, meet our friendly and professional staff, and discuss your dental needs with us. How are you doing? What is the current condition of your teeth and gums? What are your fears and expectations about Orem dental treatment? Do you have financial concerns regarding your dental needs? We recognize that each one of our patients has a unique set of circumstances. At Hammond Aesthetic & General Dentistry, we emphasize preventative dental care. 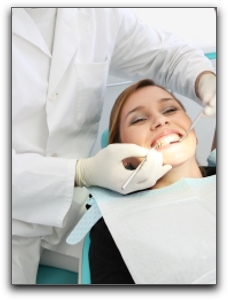 When sedation dentistry is necessary, we provide a comfortable stress-free experience. If you have pressing dental needs, let’s talk about your options and consider the long term consequences of each treatment. If we believe it is best to refer you to another specialist, we’ll do so without hesitation. We are committed to your well-being and want you to receive the best possible care. If you are interested in Orem cosmetic dentistry, we can also help you. We pursue continual training in the latest cosmetic treatments and have extensive experience performing individual dental implants, complete smile makeovers and everything in between. Did you know that we can completely redesign your smile if that is what you desire? Miracles are possible with Orem cosmetic dentistry. Please call us at 801-374-0070 to book a consultation. 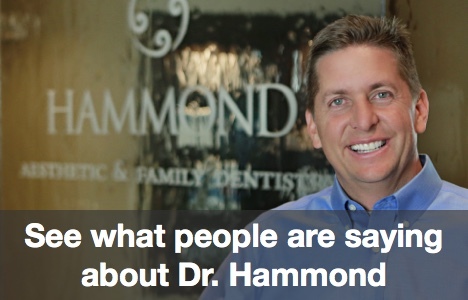 We are confident you will feel good about choosing Hammond Aesthetic & General Dentistry for your dental care.